That was the call by Tweetie developer Loren Brichter that got twitterville to speak up to make Apple approve tweetie's new version. Loren is joining Dom Sagolla, who helped build twitter and makes awesome iphone apps and Britt Selvitelle of Twitter for a panel on "What makes a good app" tomorrow May 26th at 11.30am at the Twitter Conference 140tc in the Computer History Museum. Need I say I am super excited to moderate this panel!!! Do you have questions for this panel? What do you think works , what doesn't? Here's my thoughts on this topic, read on and go ahead and send me a tweet, hashtag it with #140tc and #Twitapps or call me out @sujamthe !!! 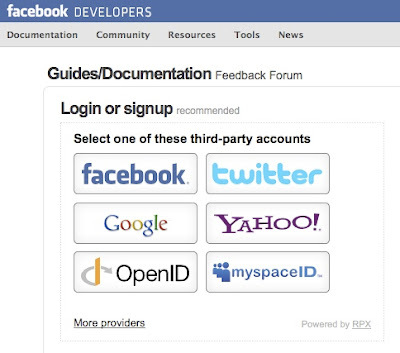 I have seen the Facebook developer developer ecosystem build up since F8 Platform launch in July 07. After several meetups, hackathons and several repeat attempt by developers the secret is out. A good Facebook app is about fun apps that tap into 15 viral channels inside Facebook and build good metrics to track what works and adapt quickly to the users. Twitterville has a unique community engagement model which helps the viral adoption of twitter applications. Twitter Apps do not reside on twitter. They connect to twitter using twitter API or twitter search API and reside on different web domains, mobile devices and sometimes float virtually connected by the viral feed on twitter aka a tweet. Twitter API Platform is bubbling with energy. I see 50 new threads of developer discussions daily in the twitter forums. I see 10 new apps going live daily (there must be many more). What makes an app good? I would define it as initial adoption and engaging users to scale successfully. Do you have any other definitions for a good app? How do you scale the apps? On Twitter? Mobile Apps? Twitter Apps on Different Platforms? 1. What are viral hooks you can build into your app from the twitter api? Via appname is one, what else is there? 2. Engaging community of users to drive your future functionality, how has it helped you? Tweetie is a classic example of this. "user-driven evolution is mandatory for any product that works ontop of Twitter, much like Twitter itself says Loren Brichter of Tweetie. Tweetphoto got 5000 new users on Day1 with some creative launch strategy. 4. How much metrics and tracking do you have built in to see what functionality works for your users? 5. How is it different to build a good app on iphone vs twitter? Look forward to the conversation on Twitter and to taking it to the 140tc conference. TechPolicy Summit started with TheFreeSummit on Monday May 11th followed by two days of in depth discussions at The TechPolicy Summit. I was lucky to attend couple sessions. I went in ignorant about the need for geek entrepreneur's participation in tech policy and walked out with lots to ponder about. Day 1: FreeSummit 6.45pm: @KaraSwisher Interview of Chris Kelly (@ck4ag), Chief Privacy Officer of Facebook and CA Attorney General Candidate. Chris Kelly brings his experience from addressing privacy concerns for 200Mil users to become the potential attorney general of California. Audience were amazingly well prepared for Q&A and added to the discussion well. I loved this panel!!! Now I understand that the place of @TechPolicy Summit in the valley is to wake up tech entrepreneurs to the opportunities waiting for them with Gov data. The organizers had the right mix of experts and the panelists discussed openly to build upon each others point to bring out nuggets of wisdom. Tim O'Reilly talks about his vision for identities and tech policy. There was lot of discussion about opening up Govt data and what are the hurdles today in creating that transparency. Carl's 8 Principles for how govt data should be made available. 2. Primary data should be available. Tim O'Reilly said there is more data collected by govt than exploited. We don't have to persuade the private sector. We just have to figure out what govt can do to enable private sector. e.g. we get financial data, weather data. Amazing entrepreneurial opportunity here to build businesses if more data is opened up. CraigNewmark said it benefits us all if we have a govt that works. He gave an example of his vision of how citizens can participate. We could use our smartphone, take a picture of a pothole and send to govt and get it fixed quickly. There is a startup idea waiting to happen! Ellen Miller of Sunlight Foundation brought lot of stats from real life projects working in Washington. Inspired by the Apps for Democracy by DC CTO, Sunlight Foundation did 'Apps for America' and got 45 remarkable applications developed. They built a community on sunlighlabs.com to begin a conversation about how technologists could engage with data that govt was setting free. They quickly followed this with a wiki. Now state/city legislative info is being scrapped by volunteer technologists and 35 has been completed so far. She quoted Rep Mike Honda as the Member of Congress who is an innovator who enabled availability of bulk legislative data. She said otherwise there is generally a culture of resistance. Tim O'Reilly brought some hope by the term"clay layer". He said people at the top and people at the bottom want change and are stuck by the clay layer, the middle layer of people in Govt. who oppose change. Craig Newmark offered a solution to permeate the clay layer. He said very emphatically that people want to be part of something big that works, so keep showing it works. If people outside of govt stand for people inside the govt, they will be part of something bigger and will feel motivated to create change and build transparency. Thanks to @techpolicy organizers and staff for the awesom show and for Debbie and Ellen for getting me Veggie food! First, it is not a small change to remove @reply setting which is the life blood of twitter, accessing real people in real time. @Reply is part of the real person connection which facebook or any other social network does not have. We use @reply not just to do a quick IM with people we know but the discovery you mentioned in your blog. We actually recommend new friends subtly to our existing friends by having an @reply conversation with them. 1. We get curious about the stranger in the @reply because of the credibility or conversation topic going on. One example is I saw a friend inquire @PanerabreadCo and tracked back to find the friends' friend had found a screw in her coffee cup at a Panera Bread. It made me chat with that new friend to find out which location and engage in a conversation. 2. The content of the topic sometimes leads to discovery. I would compare this to going into a crowded party and discovering our friend chatting with a friend not-yet known to us and getting interested in knowing the new friend from the fragment of their conversation. Twitter works because it brings our real selves and lets us be. @stephendann nicely puts it. "A half conversation is just a friend you haven’t yet"
I hope there is some new finding from our usage pattern that drove twitter to make this drastic change. I am curious to learn what it is. 1. I request you to make @reply to a friend's friend or strangers an advanced option instead of turning it off. 2. Please hire a marketing communications person to help plan your customer and developer communications so you engage with us and tell us what you plan to do and why and continue to do what is in your best interest to grow, scale and keep twitter alive. That way your community will guide you with real data beyond just the reports you see of our usage pattern because numbers can be interpreted in many different ways and we as your community will engage and find ways to help you grow in our mutual interest. If (I am speculating here), this change is driven by the newbies who came to twitter from @Oprah, we can help them get comfortable with twitter and come up to speed by coming together with a wiki or some way to build an education tweet channel for them. I am sure twitterville will have many more ideas for all your concerns. All you have to do is ask! Tyler Ballance as an early developer had created a Bugs App to track bugs and feature request for facebook and other developer apps in mid 2007 and facebook took over with their Bugzilla app to let developers openly share feature requests. Facebook Platform has been a living breathing thing growing with new apis every day with a loyal following of developers with 600K apps and close to 200 meetups/garages worldwide. Facebook Platform's strength is that facebook truly listens to developers (not necessarily agree to everything) and let developers lead the growth of their platform. They have wikis, Forums and a Platform Page to engage with developers on a daily basis. Now, Facebook has adapted a new level of transparency by Opening a Feedback Center. This allows for developers to submit feedback on the developer related documentation and rest of the community to vote on it. It is an important step towards openness and not being afraid to listen. This is focused on documentation only so they have made their survey a monthly feature. So this is a great start for facebook to understand what developers truly want, the voting justifying the volume of developers asking particular support. What caught my eye the first time I clicked on the Opening a Feedback Center was that Facebok chose UserVoice to provide this capability and allows user's to login using facebook, twitter, Google, Yahoo, OpenID or MyspaceID before it is mapped into a new UserVoice account. It is amazing that Facebook is truly open here. It seems fitting in this era of social media to come from the leader in the social platform space.